Term, Universal or Whole Life Insurance: Which is the Best Option for You? Let’s face it. Buying life insurance is not as exciting as, say, jet skiing or line dancing or nightclubbing or whatever else you could be doing with your time. It’s not even as fun as binge-watching a show on Netflix. But if you’re going to start adulting, it’s time to think about life insurance. The first problem you’ll run into? The subject is so intimidating. Almost immediately, you’ll find yourself bombarded with unfamiliar jargon like “term life,” “cash value,” “universal life,” “death benefit,” “whole life,” “annual renewable term,” and on and on and on. It’s enough to make you shake your head and walk away. Should you get term or universal life insurance? Term life insurance is exactly what it sounds like. You’re buying life insurance for a specific “term” or period of time — typically 10, 15, 20 or 30 years. This is the simplest, cheapest and most popular kind of life insurance policy. Let’s say you’re a 30-year-old woman and sign up for a 20-year term, $500,000 life insurance policy. That could cost you as little as $17.25 per month. If you die before you’re 50, the policy pays your family a “death benefit” of $500,000 to make up for your lost income. If you stay alive that long — congratulations! — you’ll pay relatively affordable premiums for 20 years until the policy expires. Then you get nothing, but hey, you’re alive. If you want to continue the coverage beyond that, you’ll have to pay an adjusted, and higher premium because you’re way older now, and closer to death. Cheers! Universal life insurance is a whole different ball of wax. The downside is it’s more complicated and more expensive. The upside? It’s more permanent and more flexible. Universal is a kind of “permanent insurance.” It’s sort of a hybrid between a life insurance policy and a savings account. A universal policy has a cash value that builds up as long as you keep paying premiums. Some of the money from your premiums gets funnelled into a tax-deferred savings account, which you can borrow against as it grows. Instead of paying the same fixed premium every month, you can pay as much as you like — as long as you meet a minimum level. One benefit to all this is your family will definitely receive some money when you die, as long as you keep paying those premiums. Under no circumstances do they get nothing. Sounds good, doesn’t it? However, you should know that universal is way, way more expensive than term life insurance. We’ll go over the pros and cons of each option. But first, a word about why you should look into life insurance in the first place. It’s Not For You. It’s For Your Family. At its core, life insurance is about taking care of your loved ones, protecting them, and making sure they’ll be okay if you unexpectedly leave them behind. Fair warning: Once you start the process of getting life insurance, you might stall because the whole thing seems like such a pain. You figure it’ll take weeks to get approved, and will require stacks of paperwork and signatures. That’s the stereotype, but it’s actually a lot simpler these days. Companies like Haven Life, for example, offer more streamlined ways to get life insurance. Unlike traditional life insurance providers, these online-only platforms provide instant decisions on applications for coverage. Some qualified, healthy applicants up to the age of 45 may even get to skip the medical exam most providers require. In the old model, companies would require you to work with an insurance agent and scan and fax documents to them. Then, you’d potentially have to wait weeks to hear back on whether or not you’re approved. So, should you go with term or universal life insurance? Let’s ask some industry veterans. “Anyone who can perform simple arithmetic will quickly discover that term is always the best choice,” asserts Paul Ruedi, CEO of Ruedi Wealth Management in Champaign, Ill.
Wow! That’s a bold take! Now, most advisors won’t state it that definitively. But it’s true that if you’re an Ordinary Joe or Jane, most experts are going to advise you to choose term life insurance instead of universal. That’s because, Smith explains, these two kinds of policies really are designed for different purposes. If you die before your time, term life insurance is good for paying off your mortgage and car loans, for replacing your income, or for sending your kids to college. It could make it possible for your partner to keep living in the same home and raising your children with the same quality of life. Universal life is for “forever coverage” — final expenses, estate taxes, or leaving money to your children. In choosing which kind of life insurance makes the most sense for you, it’s important to think about what you’re trying to accomplish, says Kerri Moriarty, head of development at Boston financial tech startup Cinch Financial. For many, term insurance is enough because you just want to make sure your family can continue their lifestyle in the event of your death. 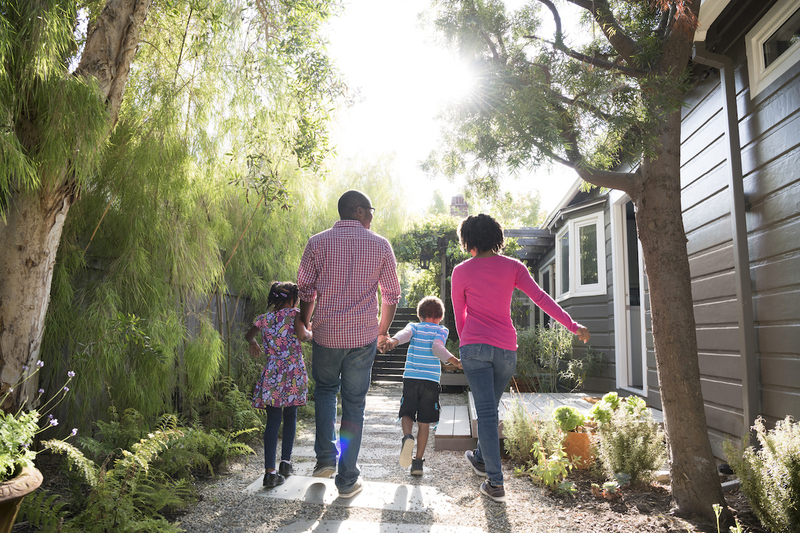 And you can build up a legacy for your children in more efficient ways than universal life insurance — possibly through real estate, investments or retirement accounts. “Since term insurance is only designed to last for a period of time, it’s way way cheaper than universal life insurance. It’s a little creepy to think about, but the reason term insurance is so cheap is because it’s highly likely that you won’t die during the term, so the insurance company won’t have to pay the death benefit to your beneficiaries. “Basically, you’ll end up paying the insurance company your monthly premium over those 20 years and you’ll never end up seeing a tangible benefit — but that’s a good thing. Now, if you’re dead set (pun intended) on having your family receive a financial benefit when you pass away, you might want to consider universal life insurance. But you should know when it comes to insurance, universal life insurance is much more expensive. This is because the insurance company knows there’s a 100% chance that it’ll pay out that death benefit to your heirs when you die — whether it happens tomorrow or 40 years from now. Financial advisers say there are more efficient ways to sock away money for your survivors. Generally, it’s wealthy people who start families later in life and who want the tax advantages that come with the tax-deferred savings. Others might want the flexibility it affords: You can make higher premium payments when you’re flush with cash, or pay less when money is tight. Just to make matters more complicated, there’s actually a third option to consider. Similar to term life, “whole life” is exactly what it sounds like: It’s meant to insure you for your whole life. It’s like universal life insurance, except it has fixed premiums and a fixed death benefit. You pay the same every month, and your family gets the same amount of money, no matter when you die. The advantage: There are no surprises. You know exactly what you’re paying and exactly what you’re getting. The disadvantage: It’s even more expensive than universal life. “The difference between universal and whole life often comes down to questions about the policy’s guarantees and flexibility,” explains Neil Godsey, managing director at Los Angeles-based Miracle Mile Advisors. If you have further questions, get yourself some professional advice. One size doesn’t fit all, and everyone’s finances are different. Consult an independent insurance agent who isn’t fixed on selling you a particular product and who can analyze which option is best for you. “Asking ‘Term Life or Universal Life’ is only the beginning. There are a plethora of questions to be answered by the consumer before the answer to this question becomes apparent,” says Steven Schwartz, vice president of HUB International Northeast, an insurance brokerage in New York. Your turn: Do you have life insurance? Mike Brassfield ([email protected]) is a senior writer at The Penny Hoarder. As the title implies, he’s not getting any younger.